Today is the centenary of the Battle of Neuve-Chapelle, the first major British assault of the Great War. It was not the first attack on the German lines as the trench war had begun in late 1914 and in December there had been several localised attacks. But these had been small scale affairs compared to Neuve-Chapelle which saw more than 40,000 British and Indian troops make a major assault on the village. 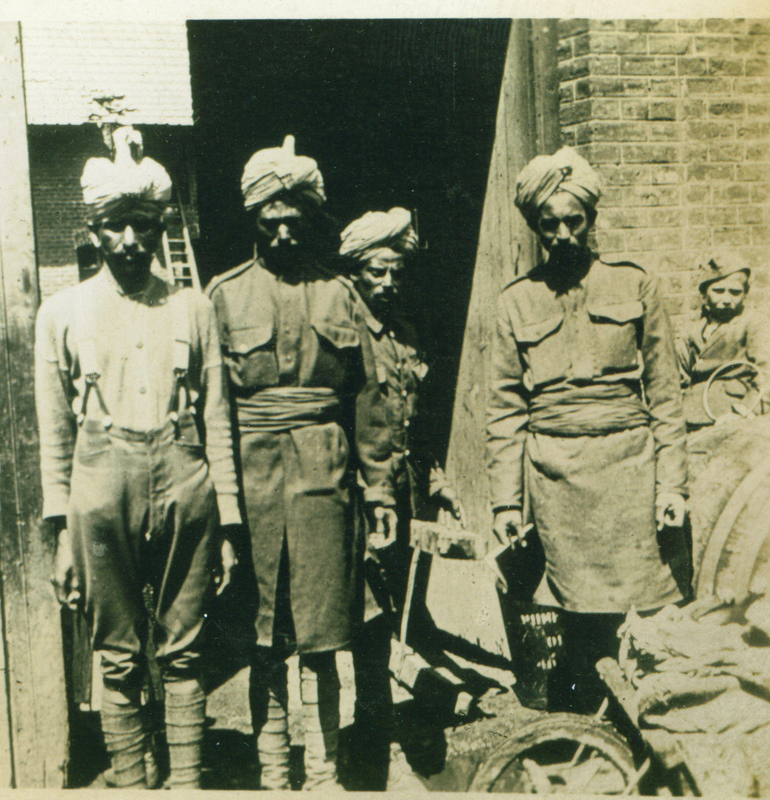 The Indian Army had taken part in First Ypres and much of the fighting in late 1914 but with the Indian Corps now accounting for a sizeable part of the British Expeditionary Force in France and Flanders this was one of their major battles of the Great War on the Western Front. 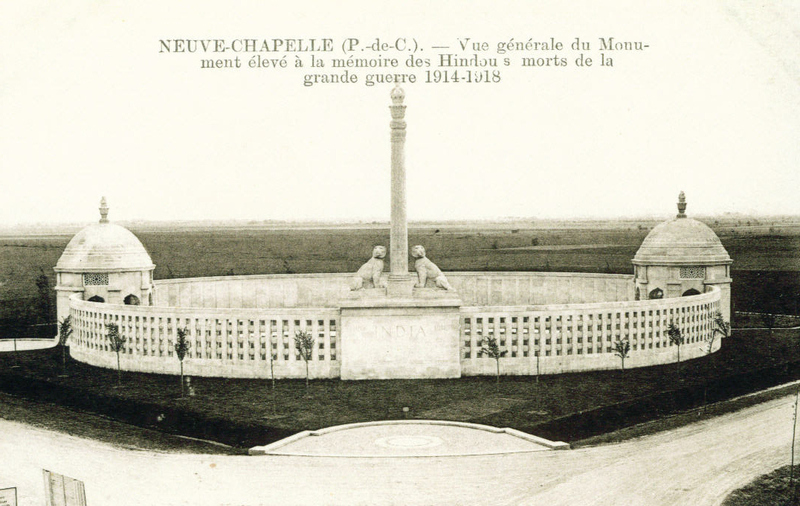 The Neuve-Chapelle Indian Memorial was designed by Sir Hubert Baker and unveiled in October 1927. It commemorates more than 4,700 Indian troops who fell in France who have no known grave and today, one hundred years on from the battle, it will be the seen of commemorations largely by the Indian community who are rightly using the WW1 Centenary to ensure the deeds and sacrifice of the Indian Corps is not forgotten. This entry was posted on 10/03/2015 by sommecourt. It was filed under 1915, Battlefields, British Army, France, Great War, GreatWar100, Indian Army, Remembrance, War Memorial, Western Front, WW1, WW1 Centenary and was tagged with 1915, CWGC, France, Great War, GreatWar100, Indian Army, Neuve-Chapelle, Western Front, WW1, WW1 Centenary. Thanks Paul. I was at Neuve Chapelle British Cemetery on 10th March & blew a 1915 officer’s whistle there at 08.05 to commemorate the infantry attack exactly 100 years previously. Quite poignant. Excellent Geoff – what a superb way to remember them. My great grand father represented the Nagas (Indo-Burma Border) during 1916-1917. He came back safely with a gallantry Medal.